The fire research group at the University of Edinburgh established the first SFPE student chapter in Europe in 2012. The chapter was set up to promote fire safety engineering as a global profession, expand opportunities for students based in Scotland and form strong connections with other chapters around the world to enable knowledge transfer and international opportunities. 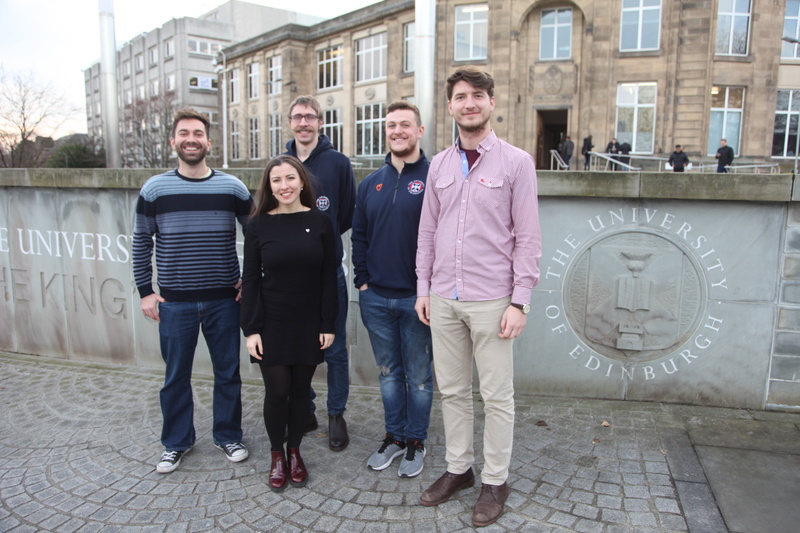 The fire research group at the University of Edinburgh hold fortnightly meetings to discuss current research and organise social activities. We also host seminars from guest speakers. These presentations cover a diverse and varied number of topics in fire protection engineering, include visiting academics, fire engineering consultancies, architects and the fire service. If you wish to become a member, please register on the SFPE website (www.sfpe.org) and add in the chapter section: The University of Edinburgh Student Chapter. Registration for students is free. Elections for committee positions take place on an annual basis and all members are free to attend and encouraged to participate. If you are interested in finding out more about what we do or getting involved with some fire safety engineering activities, please contact one of our committee members.